This is an important question! 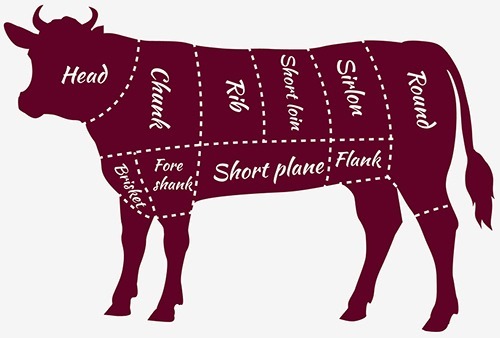 As storage time increases, beef quality tends to diminish. Luckily, Barstow’s Farm Raised Beef is frozen fresh and only thawed when you decide it’s time for dinner! We have a few tips on how long to keep frozen beef and thawed beef too. This information is based on maximum recommended times for quality. It also assumes that your freezer is 0°F or colder and that your refrigerator is set between 35°F to 40°F. Barstow’s steaks and roasts can stay in your freezer for 6 to 12 months or in your refrigerator for 3 to 4 days. Beef for stewing can remain in your freezer for 6 to 12 months or in your refrigerator for 2 to 3 days. Ground beef can be stored in your freezer for 3 to 4 months or in your refrigerator for 1 or 2 days. Finally, all leftover cooked beef can be put in the freezer for 2 to 3 months or kept in your refrigerator for 3 to 4 days.